Key Lime Cottage is located in the heart of the village of Cedar Key, Florida. It is a two bedroom, three bath vacation rental. We have two balconies that overlook First Street. They each have a view of the Gulf of Mexico across the street. Key Lime is an elevated house with covered parking underneath. A covered outside stairway leads to the first floor. There on the first floor are the two bedrooms, balcony, and two baths. Then upstairs (top floor) is the spacious living room, third bath, dining and kitchen and the second balcony. 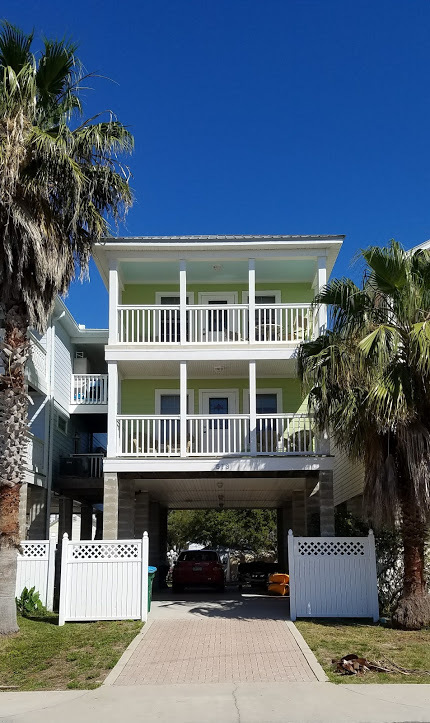 Key Lime is spacious, very nicely decorated and comfortable and makes a wonderful place to spend a week in Cedar Key.